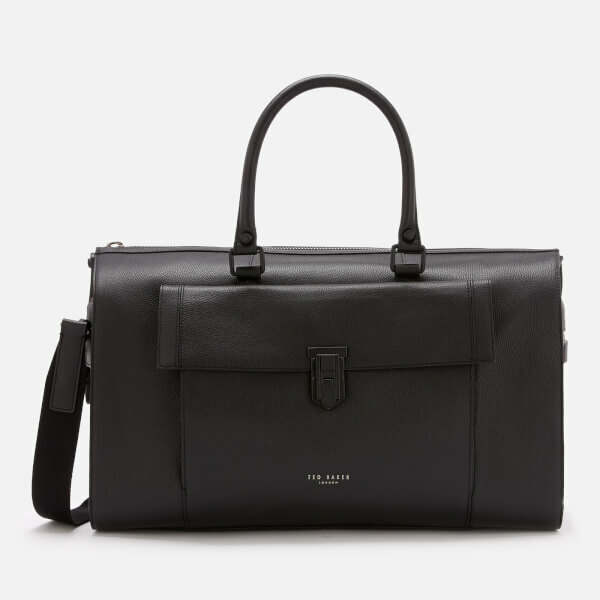 Large black holdall from quintessentially British fashion label, Ted Baker’s men’s accessories collection. 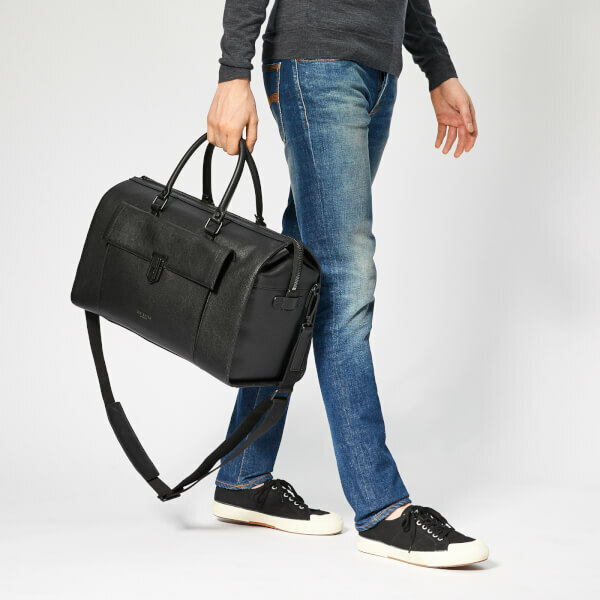 Crafted from pebble-textured leather, the ‘Starmo’ weekender bag is suspended from a pair of rolled handles, or an adjustable, detachable strap for shoulder or cross body wear. 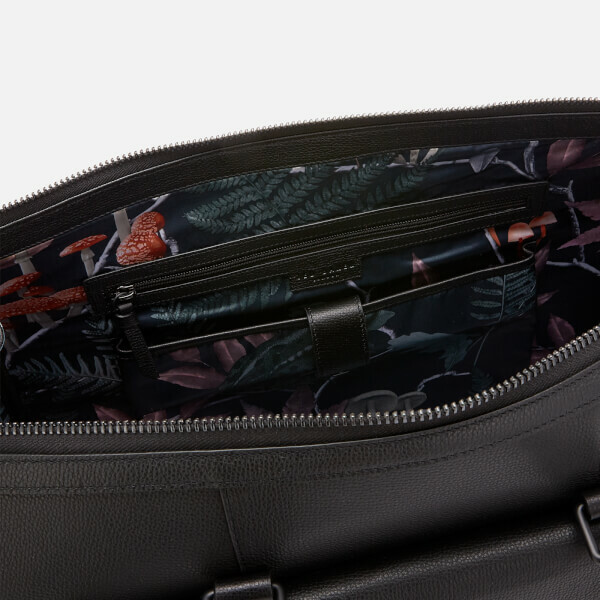 A chunky zip with an elongated zip pull that clips to the side for further security, opens to reveal a roomy main compartment, lined in colourful mushroom-print fabric and equipped with a multitude of internal pockets for organisation. 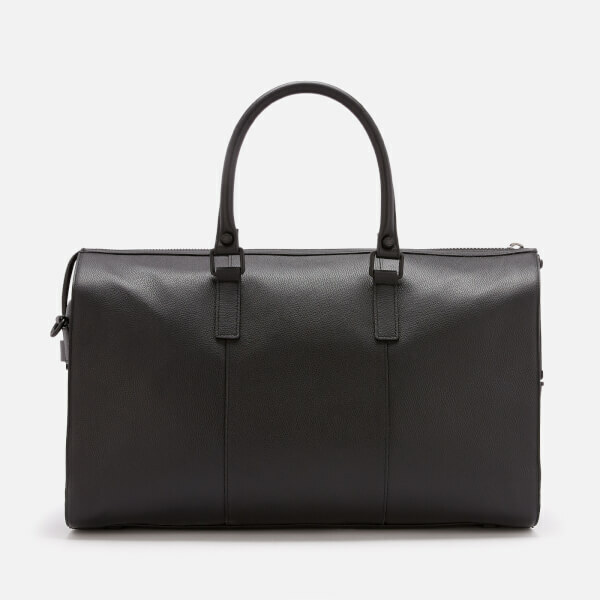 A large brief-case inspired patch pocket on the front with a tonal clasp offers additional storage for essentials. Matte black-toned hardware, including protective metal feet at the base completes the design. Finished with silver foiled Ted Baker on the front. Branded dust bag included. Dimensions: H: 28cm x W@: 47cm x D: 21cm. Handle Drop: 13cm. Strap Drop: 50cm.